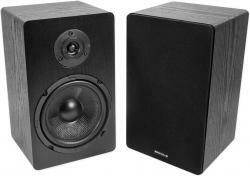 Audio Savings via eBay has the Rockville RockShelf 68B Bookshelf Speakers w/ Kevlar Woofers, Pair for $59.95. Also, free shipping is included with this deal. Amazon has the highly rated (average 4.5 stars) Anker Soundcore Bluetooth Speaker with 24-Hour Playtime for $27.94. Free shipping is included. Amazon has the Bose SoundTouch 300 Smart Soundbar, Works with Alexa for $499.00. You will also get free shipping on this item. 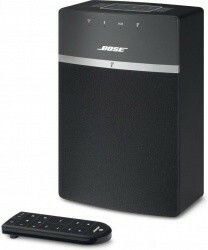 Bose via eBay has the Bose SoundTouch 10 Wireless Speaker, Factory Renewed for $99.95. This item also currently includes free shipping. 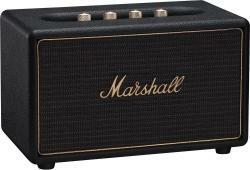 Electronic Express via eBay has the Marshall Acton 50W Wireless Bluetooth Speaker in Black for $109.99. This item also currently includes free shipping. 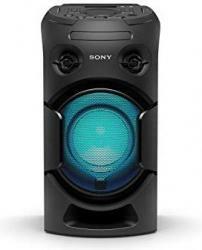 Amazon has the very highly rated (average 4.8 stars) Sony MHC-V21 High Powered Audio System with Bluetooth for $198.00. Also, free shipping is included with this deal. 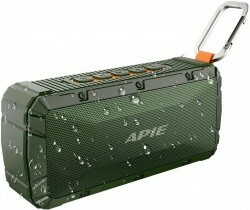 Jet.com is offering 20% to 51% off on select Bose Speakers and Headphone. Discounted prices are shown. 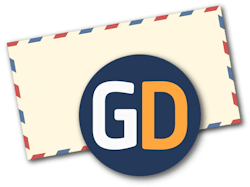 Get free returns and free shipping for most orders over $35. 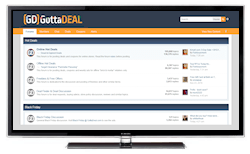 Deals ends March 31st. 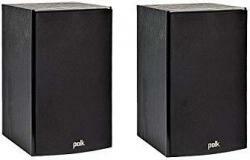 Amazon has the very highly rated (average 4.8 stars) AmazonBasics 2.1 Channel 25-Watt Speaker System with Subwoofer for $34.99. You will also get free shipping on this item. As one of their limited time Shocking Values, Sam's Club has the Samsung 2.1 Channel 130 Watt Soundbar with Wireless Subwoofer for $79.00. Free shipping on most items with a Plus membership, or choose in-club pickup when available. Non-members can pay a 10% surcharge or sign up for a membership here and get a free $20 gift card. 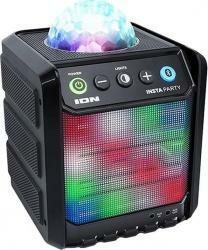 Audio Savings via eBay has the Rockville RockShip 50W Portable Bluetooth Speaker w/ Radio, LEDs for $44.95. You will also get free shipping on this item. 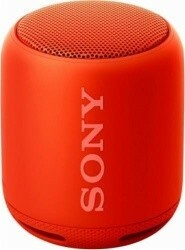 Amazon.com has the Sony XB10 Portable Wireless Bluetooth Speaker, 6 Colors for $58.00. Free shipping is also included with this deal. Amazon has the Anker Soundcore Infini Integrated 2.1 Bluetooth Soundbar System for $67.99. Also, free shipping is included with this deal. 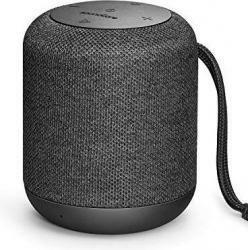 Amazon has the highly rated (average 4.5 stars) Anker Shower Speaker with Soundcore Motion Q Technology for $39.09 after 15% coupon. Also, free shipping is included. Amazon has the highly rated Sonos PlayBase Home Theater and Streaming Music Speaker System for $599.00. Also, free shipping is included with this deal. 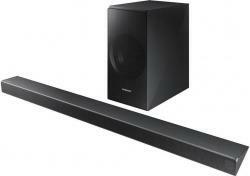 Gear 4 Less via eBay has the Samsung HW-N550 3.1 Soundbar with Wireless Sub & Bluetooth for $288.00. Free shipping is also included with this deal. 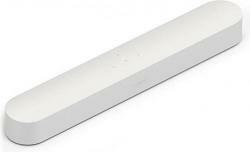 Amazon has the highly rated Sonos Beam Compact Smart Soundbar with Alexa, Black or White for $349.00. This item also currently includes free shipping. Amazon has the highly rated (average 4.5 stars) Anker Soundcore Bluetooth Speaker with 24-Hour Playtime for $22.94. Free shipping is included. Until January 31st, Amazon is offering free shipping on everything they ship with no minimum needed, even if you don't have Prime! 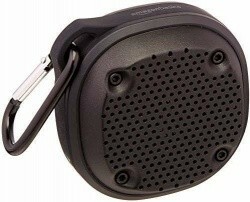 Amazon.com has the AmazonBasics Shockproof & Waterproof Bluetooth Mini Speaker for $20.00. Free shipping is included. For a limited time Amazon is offering free shipping on everything they ship with no minimum purchase needed, even if you don't have Prime! Amazon has the Anker Soundcore Infini Mini Soundbar with Bluetooth for $69.99 after $10 coupon on product page. Also, free shipping is included with this deal. As one of their limited time Shocking Values, Sam's Club has the Edison Professional EP-360 Bluetooth Speaker System w/ LED Lights for $99.88. Free shipping on most items with a Plus membership, or choose in-club pickup when available. Non-members can pay a 10% surcharge or sign up for a membership here and get a free $20 gift card. 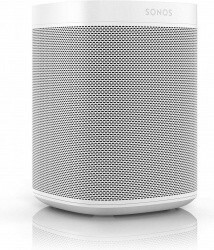 Amazon has the Sonos One Smart Speaker with Alexa, Choice of White or Black for $179.00. Free shipping is also included with this deal. 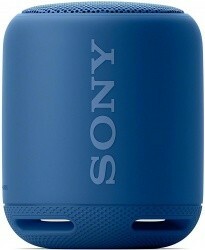 Amazon has the highly rated Sony SRS-XB21 Portable Wireless Bluetooth Speaker in 3 Colors for $48.00. Also, free shipping is included with this deal. 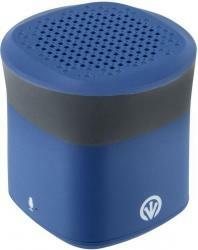 Best Buy has the Sony XB10 Portable Bluetooth Speaker, Choice of 3 Colors for $34.99. This item also currently includes free shipping. 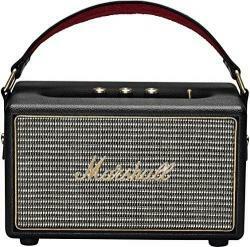 As one of their Last Minute deals, Amazon has the highly rated Marshall Kilburn Portable Bluetooth Wireless Speaker, Black for $139.99. Also, free shipping is included with this deal. 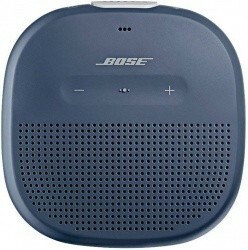 Amazon.com has the Bose SoundLink Micro Bluetooth Wireless Speaker, 3 Colors for $79.00. Also, free shipping is included. For a limited time Amazon is offering free shipping on everything they ship with no minimum purchase needed. 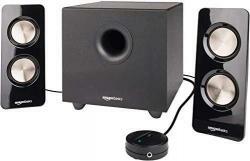 Exclusively for Prime members, Amazon has the Logitech Z313 2.1 Channel Multimedia Speaker System for $24.99. Free shipping is included. For a limited time Amazon is offering free shipping on everything they ship with no minimum purchase needed.